The gift represents the largest single donation in the College’s 89-year history and comes as the College prepares to enter the public phase of a capital campaign. The Barbara Walters Campus Center, a multi-use building that will serve as the hub of student life and campus community, will bring together aspects of student engagement and day-to-day social and intellectual experiences. The building will feature adaptable social and academic spaces, a venue suitable for large public and campus events, lounges, dining facilities, the College’s radio station, a media innovation lab, areas for career services, student clubs, activities, and collaborative work. 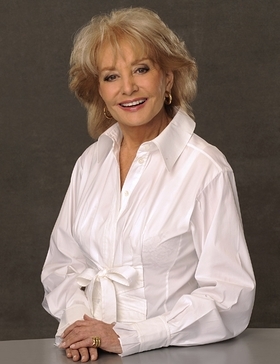 In addition, it will permanently house the Barbara Walters Archives (which will include edited video interviews, edited transcripts, and personal letters from the notable subjects of her interviews), which Walters announced she was donating to the College in May 2014, and the Barbara Walters Gallery, currently housed in the College’s Heimbold Visual Arts Center.